CRAIG BRAUN (Lyman) has been a professional actor for 12 years since taking early retirement from the Warner Music Group where he was Creative and Marketing Director. New York theater credits include Macbeth, ‘Tis Pity She’s a Whore, Deathtrap and Merchant of Venice. Los Angeles stage: Our Lady of 121st Street and Proof, as well as world premieres of Damages and The Million Bells of Ocean. TV guest star roles on Cold Case, ER, The Practice and Law & Order: SVU, as well as the lead role in the acclaimed German miniseries, Betrayal in Paradise. Film work includes Swordfish, Great Expectations, Flawless, The Associate and Surviving Eden. A tip of the hat to his late acting coach and mentor, Milton Katselas, who inspired him to pursue his lifelong dream, as well as to The Actors Studio where Craig is a lifetime member. IAN BELL (Trip). After graduating from NYU’s Tisch School of the Arts with a BFA in Film, Ian went on to study with the incomparable Terry Schreiber at his studio in New York. When he is not acting, Ian works professionally on film, television and commercial projects. Ian’s favorite theater credits include: Balm in Gilead and The Last Days of Judas Iscariot. He can be seen in the upcoming AFI feature film Half Brother. Ian currently resides in Brooklyn. Check him out at ianandrewbell.com. DIANA MARBURY (Polly, Set Decor) is pleased to tread the boards with such a talented cast. Diana directed How The Other Half Loves last spring and was seen most recently as Bea Sullivan in Other People’s Money, Dottie in Good People, and Helga Ten Dorp in Deathtrap. She is the Artistic Director of the HTC and has worn many hats over the years. She would like to thank all the “behind the scenes” people who make these productions possible. MORGAN VAUGHAN (Brooke) made her debut with the HTC last fall as Margaret in the company’s critically acclaimed production of Good People. 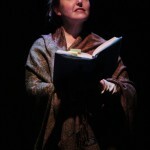 She played Lady Macbeth in Macbeth last winter with the Round Table Theatre Company which she runs with her husband Tristan. The company also offers an acting class called “Speaking Shakespeare” at Guild Hall as well as a summer performing arts camp. Regional credits include Patsy in Always, Patsy Cline; Catherine in Proof; Helen in The Cripple of Inishmaan; Nancy in Oliver; and Brooke/Vicki in Noises Off. She holds an M.F.A. in Acting from The Shakespeare Theatre Company’s Academy for Classical Acting at The George Washington University in D.C. and a Certificate in Acting Shakespeare from RADA. She is lead singer in an eclectic rock and jazz standards duo. JON ROBIN BAITZ (Playwright)’s plays include The Film Society, The Substance of Fire, The End of the Day, Three Hotels, A Fair Country (Pulitzer Prize finalist 1996), Mizlansky/Zilinsky, Ten Unknowns and The Paris Letter, as well as a version of Hedda Gabler that appeared on Broadway in 2001. He is the creator of Brothers & Sisters, a television series that ran for five seasons on ABC. Other television work includes PBS’s version of Three Hotels, for which he won the Humanitas Prize, and episodes of The West Wing and Alias. He is the author of two screenplays: the film script for The Substance of Fire (1996) and People I Know (2002). Mr. Baitz is a founding member of Naked Angels theater company, and on the faculties of the MFA programs at The New School for Drama and Stony Brook Southampton. 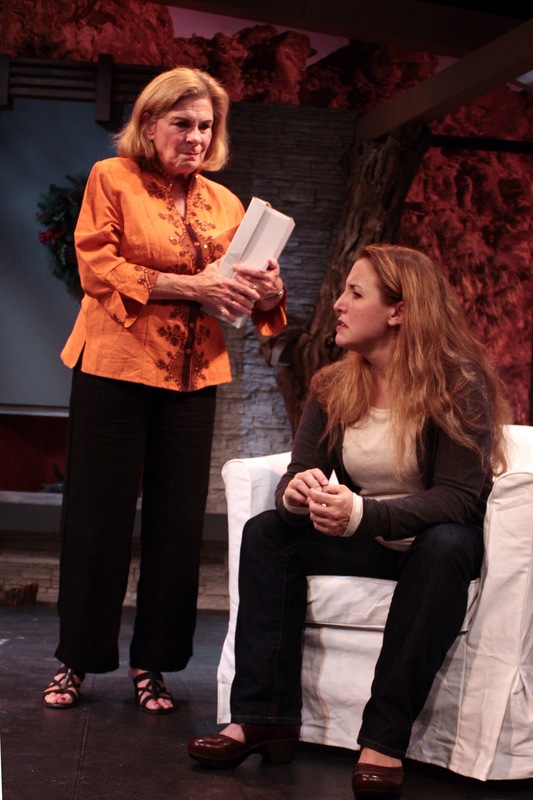 Other Desert Cities won the Outer Critics Circle Award in 2011. SARAH HUNNEWELL (Director) has directed over 20 plays for the Hampton Theatre Company, favorites among which are The Drawer Boy, Good People, Rabbit Hole, One Flew Over the Cuckoo’s Nest, Summer and Smoke, A View From the Bridge, Proof, Fuddy Meers and The Rainmaker. Sarah is Executive Director of the HTC. JAMES EWING (Assistant Director, Set Construction) founded the HTC in 1984 and has since appeared in over 20 productions and designed and built numerous sets. He directed Other People’s Money last season. Special gratitude to his reliable and skilled production team all listed in the program. And, of course, to Sarah for her wise guidance and fortitude as we stumble along in these efforts. SEAN MARBURY (Set Design) has designed the sets for the HTC’s productions of How the Other Half Loves, Other People’s Money and Deathtrap and worked in collaboration with James Ewing on The Drawer Boy. He has worked for many years building HTC sets alongside his father Peter and friend James Ewing. He is thrilled to once again don the esteemed mantle of set designer with this production. JOHN ZALESKI (Production Stage Manager). It’s an honor to again work with such fine and talented people. John would like to dedicate this to the memory of Barbara D. And please support pancreatic cancer research. JEAN PLITT (Rehearsal Stage Manager). It is a pleasure to work with the talented people who perform or are involved in the production of each show presented by the Hampton Theatre Company. From auditions to opening night, the process of bringing the “page to the stage” requires the creative energies of all involved, and I am very happy to be part of it. Congratulations to the cast and crew of Other Desert Cities! ROB DOWLING (Lighting & Sound Technician) has done lighting and sound for 22 years at the North Fork Community Theater, Vail-Leavitt Music Hall, Producer’s Club (NYC), the Loft Theater at Dowling College and the Southampton Cultural Center. He has also helped Sebastian with lighting set up at Guild Hall, the Ross School, and other local venues. “Many thanks, Sebastian!” This is Rob’s seventh season with the Hampton Theatre Company. He is very happy to be part of the show and the company. 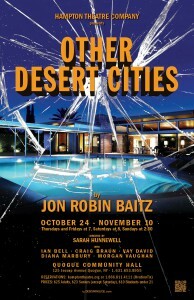 I went to the Quogue premiere of Jon Robin Baitz’s play Other Desert Cities last Thursday evening. The Hampton Theatre Company, which makes its home at the historic Quogue Community Hall, doesn’t fool around. Its recent productions include Other People’s Money by Jerry Sterner, Deathtrapby Ira Levin, Desperate Affection by Bruce Graham and The Drawer Boy by Michael Healey. These are all plays that draw the best out of the actors. Other Desert Cities, which had its Broadway debut in 2011 to rave reviews, is no exception. 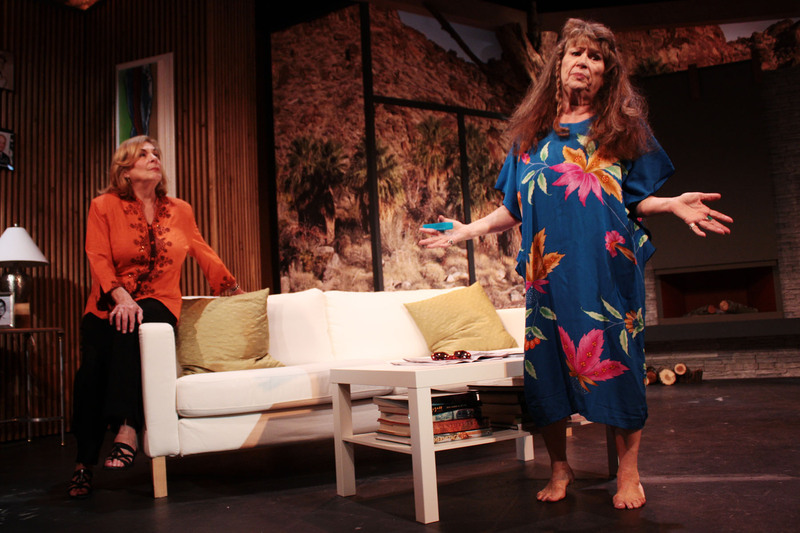 Sometimes compared to Edward Albee’s Who’s Afraid of Virginia Woolf?, it all takes place in a living room, this one, unlike Albee’s, in Palm Springs, California. The set is well-to-do and sleek, Palm Springs modern — with a stone fireplace, all glass windows and the high walls of a canyon, not far away outside. There are couches and chairs, a bar, and off in a corner a Christmas tree. But the whole sense of the place is barrenness and isolation. A family drama will go on here. A drama that will pit the wills of five astonishingly different family members, all of whom have assembled because it is Christmas. It’s something they have to do once a year. And so they are. This canyon home belongs to Polly and Lyman Wyeth, a couple in their late 60s or early 70s. She is a member of the Palm Springs social set. Her husband Lyman is a former movie actor turned politician who rose to become an ambassador during the reign of Ronald Reagan. They are both staunch Republicans. At their home on this day arrive their youngest son, now fully grown, named Trip, who is a television producer in Hollywood. He is whatever-it-takes practical and an easygoing kid, until things begin to unfold. Their other child arriving is their middle child, a daughter named Brooke. Brooke is a left wing liberal, a successful author, a fragile but determined figure who is, underneath it all, still at war with her Reagan-loving parents and all they stand for. She has brought a Christmas present. And this is the topic of the play. The Christmas present is the manuscript of her latest book, a memoir, all about how her awful parents drove their oldest son, who is not present, to become a hippie left wing revolutionary whose bomb, setting fire to a government facility, resulted in the death of a janitor a full 30 years before. This son is not present because, leaving his filthy hippie clothes on the deck of the Puget Sound ferry along with a note to his parents, he leaped overboard. The publicity about this was such a shock to the Wyeth family that it has not been talked about in all these years.vAn excerpt of Brooke’s new book, soon to be published, will appear in The New Yorker in 60 days. She has brought her manuscript to her parents to ask their “opinion.” They sure give it to her. Also included at this house, the fifth person, is Polly Wyeth’s sister Silda. She’s also elderly, a drunk, hopeless and she hates her sister who, along with her ambassador husband, have taken her in. The drama is gripping, twisting and gut wrenching. What a family. The performance is worthy of Broadway. It’s rare to see local theater performed at this level. Directed by Sarah Hunnewell, the plot, stage management and timing simply rips along. Diana Marbury, as Polly, gives an absolutely spectacular performance. She is a shaft of Republican steel, and gives no quarter. She is utterly believable, and she is terrifying. 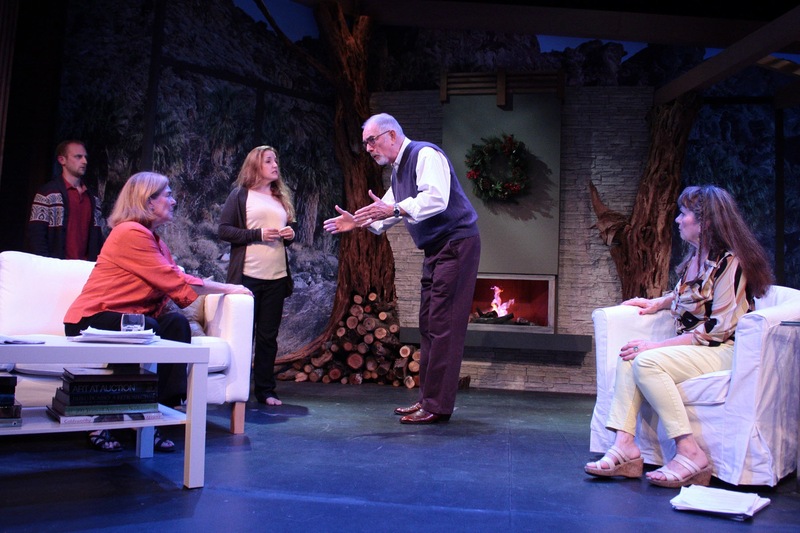 Her husband, Lyman, played by Craig Braun, is equally Republican and equally in charge, but with a veneer of cordiality that, even at the astonishing end of the play, does not break, although after that, in a kind of “now the smoke clears” coda, apparently, offstage, does. 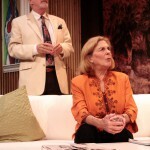 Ian Bell’s performance of Trip, the youngest son, is flawless, perfectly in character as he shifts from position to position in the play, often seemingly not sure he appreciates his new position swimming through uncharted waters, although he seems to be the only one of the group who has a full understanding of what is happening here. He also loves his family. And that doesn’t help. Vay David, as drunken sister Silda, sleeps on a couch through much of the action. But when awake, she performs Silda with complexity, irony and a kind of theatrical revenge. She’s not the brightest of the group, however. It would not be possible to say that anyone stole this show. It is an ensemble and has to remain in that framework, which it does. But the work of Morgan Vaughan, as Brooke Wyeth, shines above all. All these roles demand great flexibility, but the character of Brooke is something else entirely, a complex, driven, brilliant, overly sensitive, liberal, determined but angry young woman and Vaughan rises to this in a way that is unforgettable. 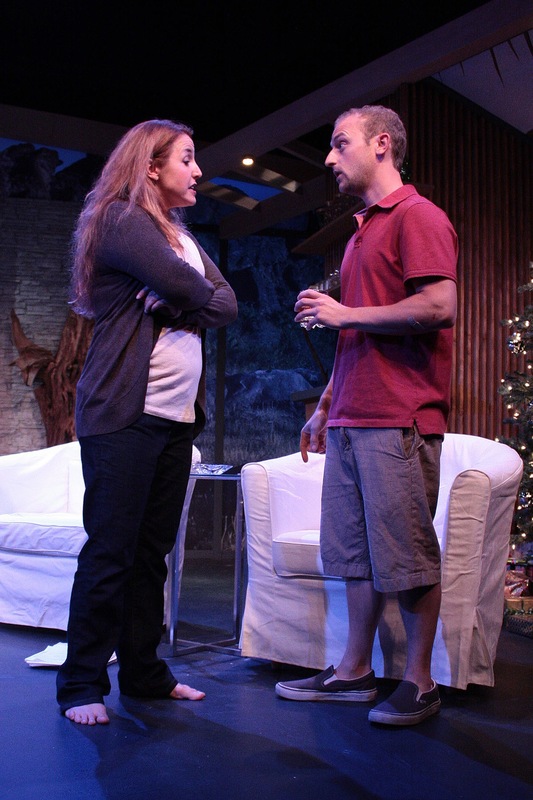 Other Desert Cities, a play by Jon Robin Baitz and directed for the Hampton Theatre Company by Sarah Hunnewell, portrays a less-than-festive Christmas eve at the Wyeth house. It seems that even the family’s wealth, success and close personal relationships with the Reagan White House can’t save them from themselves during the 2004 holiday season. “You know that sign on the highway where you can either turn off for Palm Springs or keep going to ‘Other Desert Cities’? I am always so tempted just to keep on driving, you know,” laments Brooke, inhabited with skill and precision by Morgan Duke Vaughan. Ms. Marbury’s tight-lipped grin and disappointed sighs that often precede biting comments toward her daughter—such as, “Families get terrorized by their weakest member”—were effective and on the mark. Former silver screen star turned Republican hotshot, Lyman, played by Craig Braun, is a beautiful shell of a man. He has lost a son, he fears losing his daughter, and he can do little to maintain peace or order in his own home. Other Desert Cities is a heavy story, which is lightened with much needed comedic relief from Trip, played by Ian Bell, and eccentric Aunt Silda Grauman, played by Vay David. Trip, who uses comedy as a defense mechanism for coping with his family, is thrown into the position of negotiator, begging them to let bygones be bygones at least until the New Year. Aunt Silda’s brash sarcasm contrasted well with her sister’s rigid nature. Well done by both of these fine actors. Sean Marbury’s set design, always a standard-bearer, outdid itself in Other Desert Cities. Here, he created an absolutely breathtaking view of the desert through the windows of the parental abode. The wall of glass windows that traps the Wyeth family is like a television set ever on display for public consumption, keeping this family playing roles instead of living the truth. Brooke, played by Morgan Vaughan with the fiercely conflicted independence of an adult who realizes she’s forever a child to her parents, is about to give up her secret. It will ruin Christmas. The novel she was writing turned out to be a nonfiction account of her family’s most horrific episode. Her older brother, Henry, killed himself after being implicated in the bombing of a military recruitment center. She’s learned from her Aunt Silda, a recovering alcoholic played with conspiratorial vengeance by Vay David, that her parents may have driven Henry to his fate. Brooke’s taciturn dad, Lyman, portrayed by Craig Braun as a father who never knew how to reach his children, nevertheless adores his daughter. Mom, on the other hand, thinks the best way to handle kids is to lash them with her tongue. Diana Marbury as Polly Wyeth wields her rapier wit like a thrusting sword. But she goes easy on her favorite child, the baby of the family. Trip, as played by Ian Bell, tries to see all sides in the triangulated family feud – not as peacemaker so much as reluctant mediator. Lyman and Polly were once stars in the Reagan-worshipping Republican firmament. Lyman, who recalls Ronnie and Nancy fondly, specialized in death scenes in his movies, while Polly and Silda co-wrote screenplays. But after their son’s death, the Wyeths exiled themselves in luxury. They try to persuade Brooke to delay her book until they’re both gone. Sean Marbury’s desert-domicile set reflects an apt fishbowl airiness, but the mountains look too much like the painted backdrop they are. Teresa LeBrun’s costumes capture the clan’s generational liberal-conservative divide, while Sarah Hunnewell’s direction keeps pace with Jon Robin Baitz’s acidly revealing dialogue – right through the blind twist that changes everything. We all have secrets. This one’s a doozy. 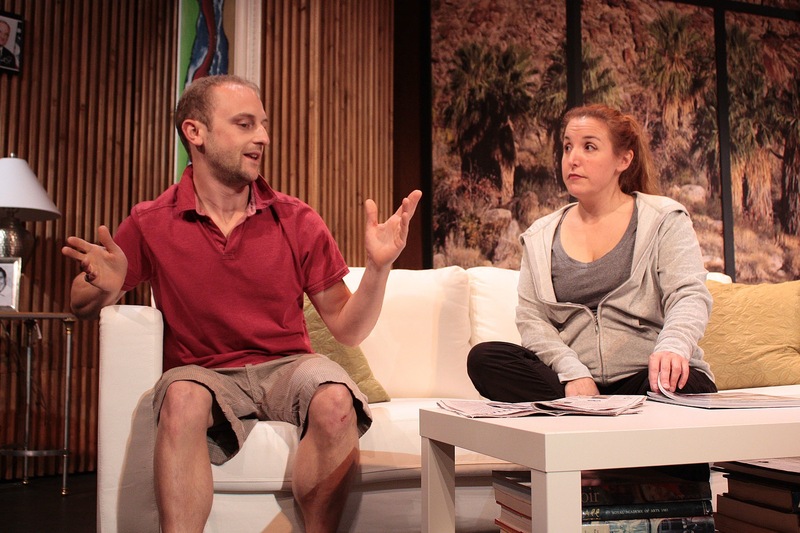 The Hampton Theatre Company, which has been bringing drama to the people since the mid-’80s, opened its 2013-14 season last week with Jon Robin Baitz’s “Other Desert Cities,” a meaty choice and hopefully the beginning of a winning season for the Quogue group. 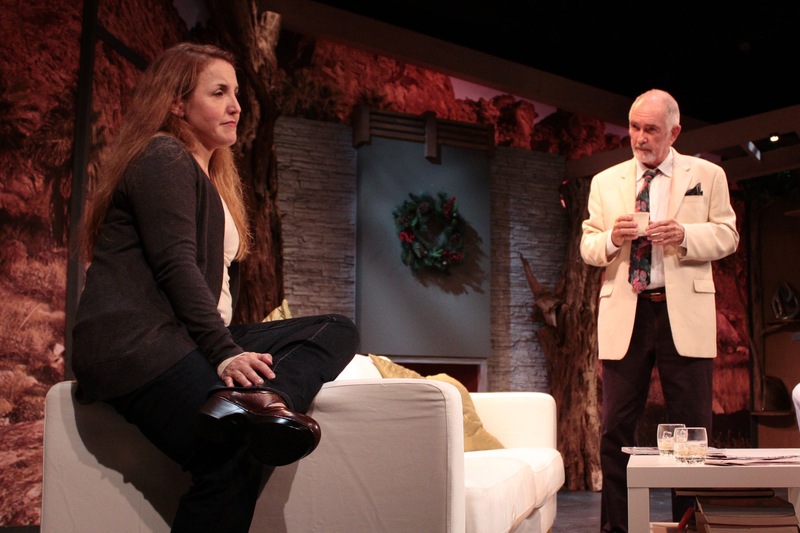 Mr. Baitz’s play, first performed at Lincoln Center in 2011 and a finalist for the Pulitzer Prize that year, is set on Christmas Eve 2004 at the Palm Springs home of Lyman and Polly Wyeth, a well-to-do Republican couple with connections in both Washington and Hollywood. Their children are visiting — Trip, a producer of a reality justice show starring old celebrities as jurors, and Brooke, who is returning for the first time in many years after a successful novel and a nervous breakdown. Also staying with the Wyeths is Silda, Polly’s sister, who is in early recovery (again) and just out of rehab. The lines are drawn early in the evening: The parents and children don’t see eye to eye politically. 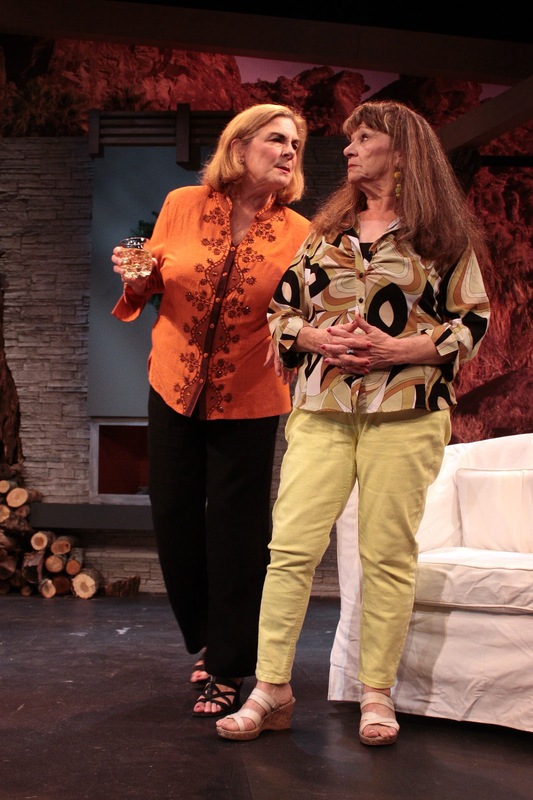 Silda is the “cool aunt,” still in touch with the Jewish heritage that Polly has packed away in favor of County Club beige, and Lyman, an actor turned ambassador, wants to avoid any unpleasantness and keep the peace between his wife and daughter. But peace will not be kept when Brooke brings several copies of her soon-to-be-published new book, which dredges up a deep and dark event from the family’s past — the terrorist actions and suicide of Lyman’s oldest son. To say more would give too much away. This play is about the slow reveals. Although there is much talk of judging and fairness, Mr. Baitz shows how hard it is to adjudicate a verdict when family is involved. 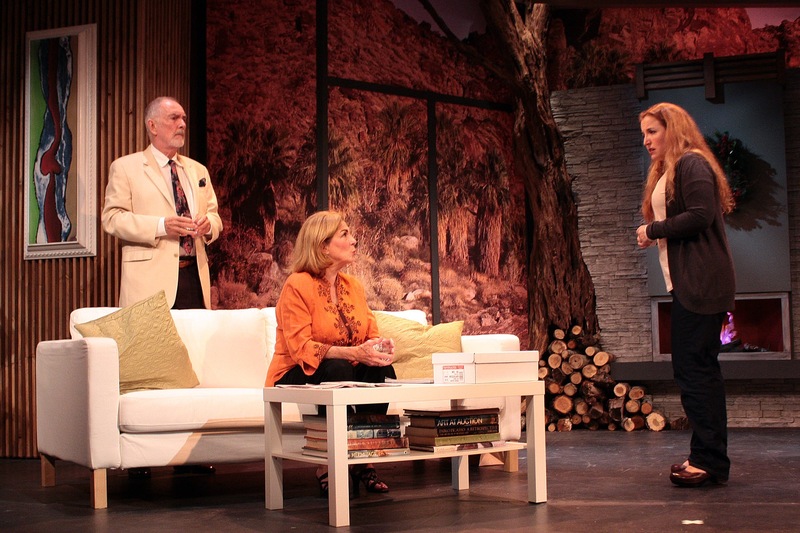 The set, designed by Sean Marbury, is a loving tableau to desert design, complete with big stone fireplace, a wall of autographed pictures from Nancy and Ronnie and John Wayne, and windows showing the rocky and arid Coachella Valley beyond. It was gratifying to see Mr. Marbury pick up and wear the cloak left by his father, the brilliant designer Peter Marbury, with such grace and style. 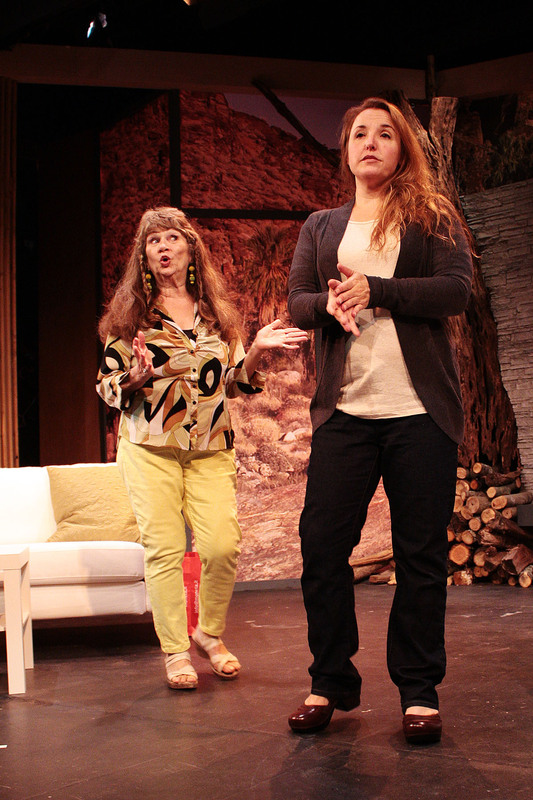 Diana Marbury, artistic director of H.T.C., offers a wonderful performance as Polly Wyeth, a woman comfortable in her habitat and easy to dismiss as a WASP, but with layers of both coolness and warmth underneath, and a need to protect her standing at any cost. “You can die from too much sensitivity in this world,” she says, a phrase with a meaning that warps as the evening progresses. Craig Braun as Lyman Wyeth gives a solid performance as the king of all he surveys, and why not? It’s December of 2004, Dubya’s in charge for another four years, and all is right in his world. But Mr. Braun brings layers of depth to Wyeth as well, especially toward the end of the evening. 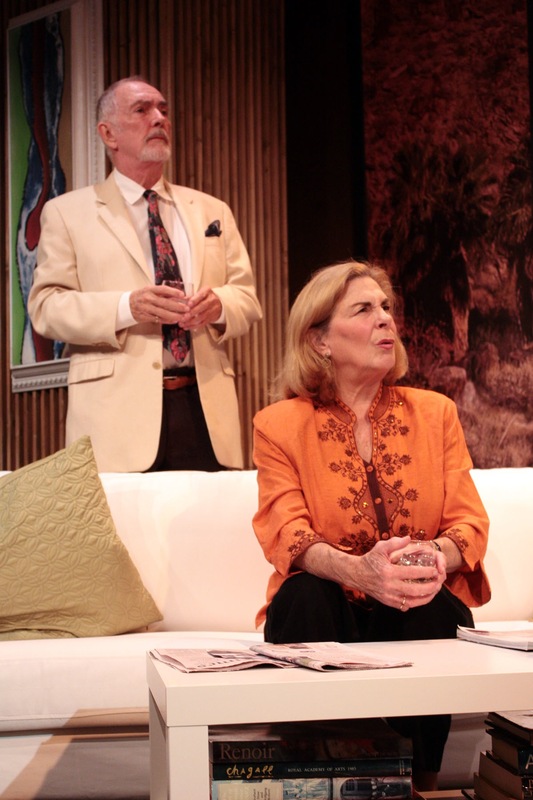 Vay David adds levity as Aunt Silda, a woman with dark secrets of her own, and Ian Bell offers bright spots as the youngest wise-cracking son in a dysfunctional family. But it is Morgan Vaughan as Brooke who steals the spotlight. Her heartbreaking portrayal of a woman on the verge — of losing her mind, of publishing another book, of telling her family what she really thinks of them — is brought to a head in the second act, and Ms. Vaughan’s performance is heartfelt and real every step of the way. Sarah Hunnewell directs this able ensemble with a deft touch. There is some awkward blocking in the beginning, but it sort of works with a family that feels awkward around each other anyway. And the message — that the truth shall set you free, no matter what that truth is — rings out loud and clear in Ms. Hunnewell’s production. 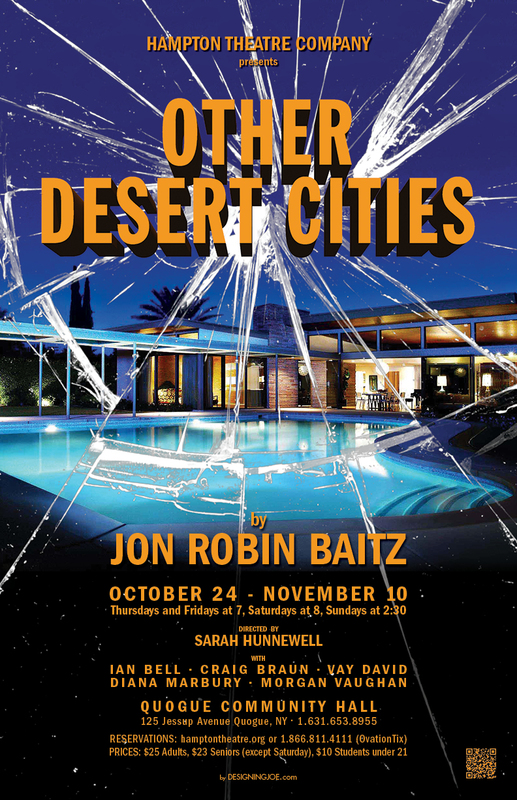 Jon Robin Baitz’ Other Desert Cities shows a realistic example of how families are nowadays. 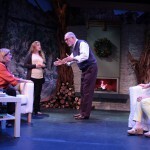 Dysfunction, love, and the influence family members have on one another are performed with panache at the Hampton Theatre Company’s Sarah Hunnewell directed presentation of the Pulitzer Prize and Tony nominee. Running through November 10th at the charming Long Island venue in Quogue, each member of the cast was great in their respective roles. 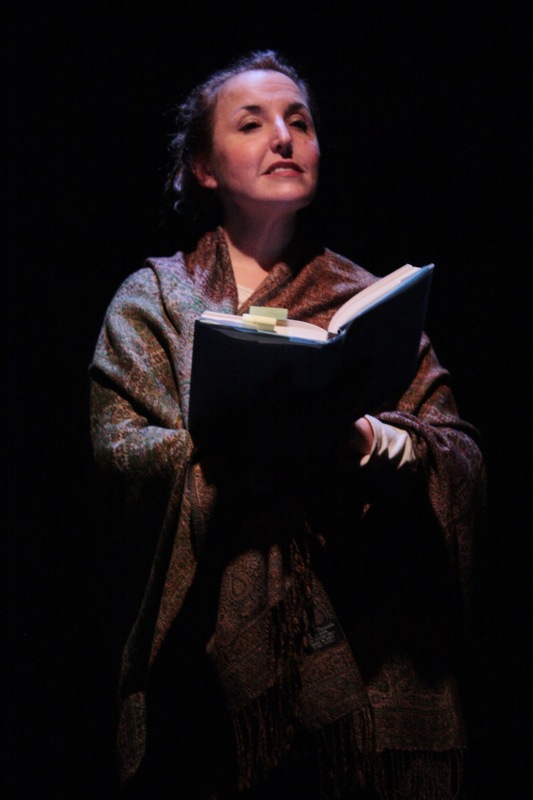 Diana Marbury, the Company’s Artistic Director, portrays Polly Wyeth, the matriarch of the prominent Californian family. She is a former Hollywood screenwriter turned politician’s wife who is indeed a woman of strength and courage. At the same time, she can also be cold and is deeply devoted to the preservation of her family’s name even to the point having an extremely harsh conversation with her daughter. Morgan Vaughan wonderfully portrays daughter Brooke Wyeth. She is a book writer living in Sag Harbor, Long Island, who recently recovered from a nervous breakdown. One thing that got her through her depression was her writing and what resulted was a fiery memoir – not initially what she was going for – highlighting a tragic family event. This is the main focus of the play. She returned after six years to seek her parents’ blessing for the book’s publication but that, of course, proves to be a challenge. The portrayal of Brooke could have probably been more frazzled and “on-edge” but Ms. Vaughan gave a wonderful performance overall. Also among the talented cast was Craig Braun as Lyman who is the patriarch of the Wyeth family. Lyman’s name is a recognizable one having been a Hollywood “B” actor. He turned to politics but still today has some celebrity and political influence. He tries to keep neutral as Brooke fights with her mother about the tell-all but he’s torn and tries to keep the peace especially it being around the Christmas holidays. Mr. Braun portrayed the many sides of Lyman well also highlighting the love and care he has for his adult children. Polly and Lyman’s youngest, Trip, portrayed by Ian Bell, is also in the entertainment industry. Mr. Bell portrayed Trip comically putting a sarcastic-laid back spin on the role. Additionally, Vay David portrayed Silda Grauman, Polly’s recovering alcoholic sister. Silda and Polly were a writing duo for Television back in the day so Silda was very bohemian and artsy yet irresponsible and fragile. She realizes very reluctantly that she is dependent on Polly and Lyman so she lives at their home. Also a highlight was the interesting set designed by Sean Marbury making great use of the small space. Set in the Wyeth’s living room, the half circle backdrop was divided into fifths. The first and fifth panels – closest to the audience on stage left and right- were filled with pictures and knickknacks for the living room décor. The second and fourth panels were, in essence, a large bay window looking over the beautiful landscape of California. Then the third panel – the one in the middle – was a fireplace. However, it seemed awkwardly placed and you sort of had to do a double take because it all blended together. Perhaps bringing the fireplace up a little bit – or eliminating it – would have been more effective. It was definitely a well done set, but that part just seemed out of place. 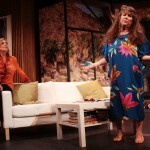 All in all, the Hampton Theatre Company certainly has another hit on its hands with Other Desert Cities. A realistic story, wonderful cast, and great direction make for a wonderful night of theatre. True to tradition, the Hampton Theatre Company continues to knock them out of the park. “Other Desert Cities” by John Robin Baitz is simply stunning. It is an ensemble performance in which the actors are so good that while we watch they do not seem to be acting so much as living the roles. The interaction of the characters is not unlike that of chamber music, each part interweaving to create a whole.! ! Diana Marbury as Polly Wyeth, Craig Braun as Lyman Wyeth, Vay David as Polly’s just-out-of-rehab sister, and Ian Bell as Trip, the Wyeth’s son, are simply superb. Morgan Vaughan inhabits the part of Brooke Wyeth. Brooke has dropped a bomb on the Christmas celebration by revealing that she has written a memoir about her unyieldingly Republican show biz parents, and about her brother Henry, who has taken his own life after participating in an urban guerilla action, and inadvertently taken the life of an innocent bystander. He is, nevertheless, palpably present in his absence.! The play is a searing examination of the demands of art, the cost of keeping secrets, family loyalty, and above all, love and forgiveness. We found “Desert” very difficult, challenging, and beautifully executed. Difficult, and so sad a family situation, a challenge to act – it must have been exhausting emotionally – but so well done. Each character was so true, the father, the mother, the aunt, daughter and son. Of course the set was perfect, as usual! Hats off to you all! Wow! Thanks to everyone at the Hampton Theatre Company for another enjoyable evening. As usual the set was magnificent, the acting professional and the play engrossing. And as one who saw the Broadway play I can say your production was interchangeable with the New York offering. Thanks for all your work. We enjoyed the show so very much. Good acting, stage design, staging etc. A job very well done. We were there with friends on Saturday night. We loved the play and thought the performances were terrific. We’ll be back. We were not prepared for the ending. It kept us clued to the dialogue until the bitter end. So much to ponder. Great twist. Makes you question everything you think is true. Nothing is what it seems. Just loved it. Thank you. Great acting and an excellent set. An outstanding performance especially that of Vay David. Memorable. Easy to recommend to others. Thanks for your good work. What a fabulous production! Such an excellent ensemble of actors. Wow, it’s amazing how good local theatre can be! Kudos to the entire cast! And director Sarah Hunnewell – superb job! I thought the show was great. Have recommended the play to all my friends. Absolutely fantastic. What a twist! A superb show… Every member of the cast was marvelous… As well as a terrific set. Thanks for providing a wonderful evening. It’s extra nice to hear that big round of applause from a virtually full house. 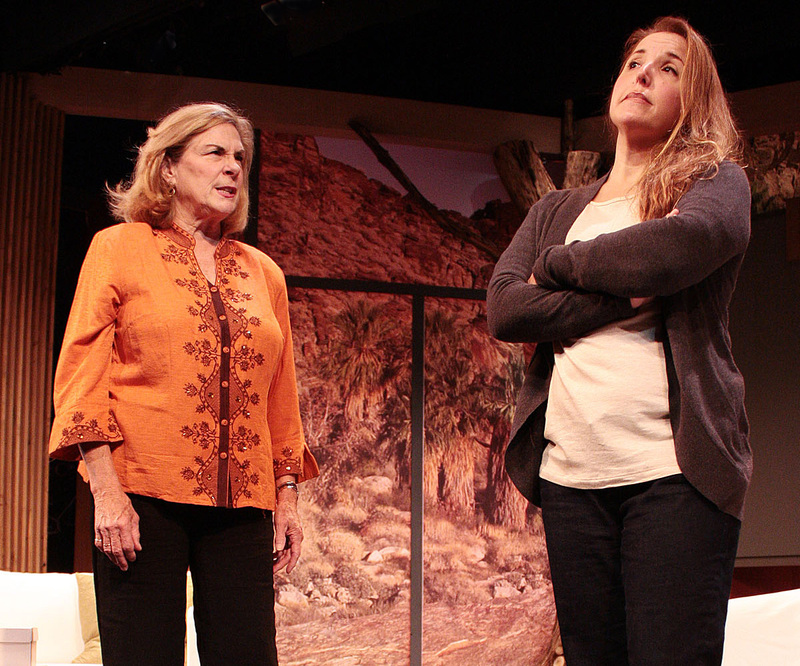 … how much we enjoyed your very fine production of “Other Desert Cities.” We were particularly impressed by the work of the two young actors. And of course much of the credit goes to the very fine direction of Sarah Hunnewell. It was first rate. Congratulations. It was wonderful… Great theater!!! This play was fantastic, actors terrific, sets marvelous. I am especially taken by Morgan Vaughan. 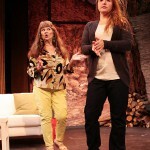 This is the second play I have seen her in and she is tremendously talented. Diana, as always, was brilliant! I loved it!! One of the most interesting shows I’ve seen. Cast was stupendous. Congratulations to all. I have been attending the theater for the last four years, but this play was the best ever. From the story line to the acting by the talented cast members, I would say it was an OSCAR winning performance. Thank you for bringing this fine form of the arts to the East End. 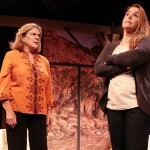 “Other Desert Cities” is one of the best plays I have ever seen. The acting was superb – Broadway quality. Thank you for all your hard work. Teri and I really enjoyed the show. Thanks for all your effort. We thought the play was excellent. Very professional. We look forward to the other plays this season. It was wonderful. Great acting and a good play. Many thanks. Last night’s play was fabulous. The show blew me away and the actors were absolutely awesome. Never suspected the ending. I was on the edge of my seat during the last half of the second act. GREAT ACTING FROM ALL. Many thanks for all your shows but especially this one. It was the best ever! Wonderful, wonderful play, great dialogue, good characters, fabulous acting!! A wonderful play wonderfully produced and acted. We are still talking about it. Well worth the trip from East Hampton to Quoque. It was a WOW! Great set also. Loved it. Well done, Sarah and all the cast. Great set. 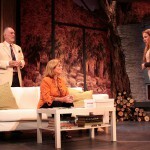 “Other Desert Cities” was excellent – one of the best productions my husband and I have seen over the years! 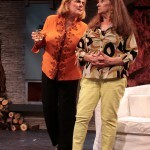 Fabulous set… and the acting – WOW! Each and every actor was so impressive! We are looking forward to the rest of the lineup!